Eating raw fruit without added sugar or other additive that will pack on the calories is a healthy choice. My choice the other day, however, was not raw strawberries without additives. Remembering the boxes of pudding I had on hand for special occasions. Suddenly, I knew what I would do. 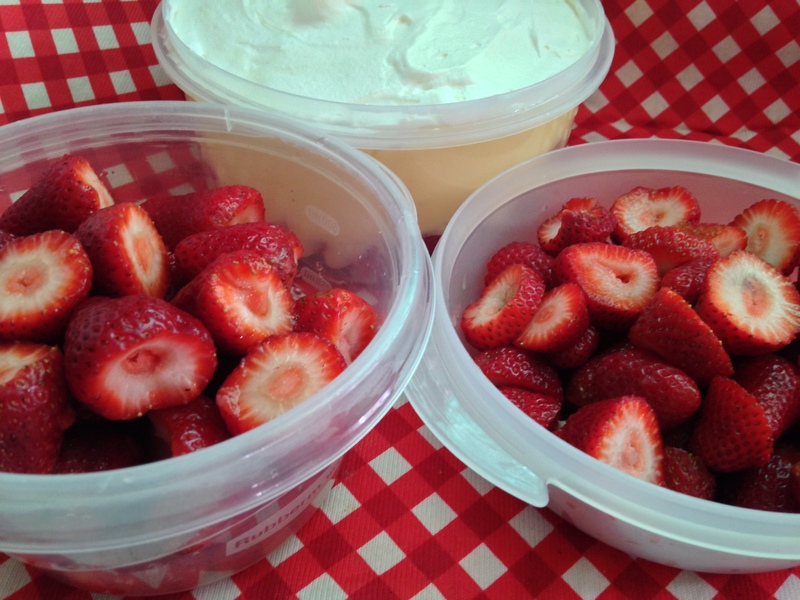 Make a pudding with the fresh strawberries. It seemed like a good idea to me. There were four types of pudding: chocolate, pistachio, lemon and vanilla. Lemon and strawberry. Yellow and red. I love yellow and red together. It is not my usual practice to come up with recipes because of their combined color – unless it’s for coloring Easter eggs. I chose the lemon and vanilla. One pudding mix was sugar free but not the other (the recipe below is for regular, not sugar free). Oh well, that was fine with me. The on-the-spur-of-the-moment recipe turned out quite tasty. My husband isn’t the dessert lover that I am but agreed that it was good. 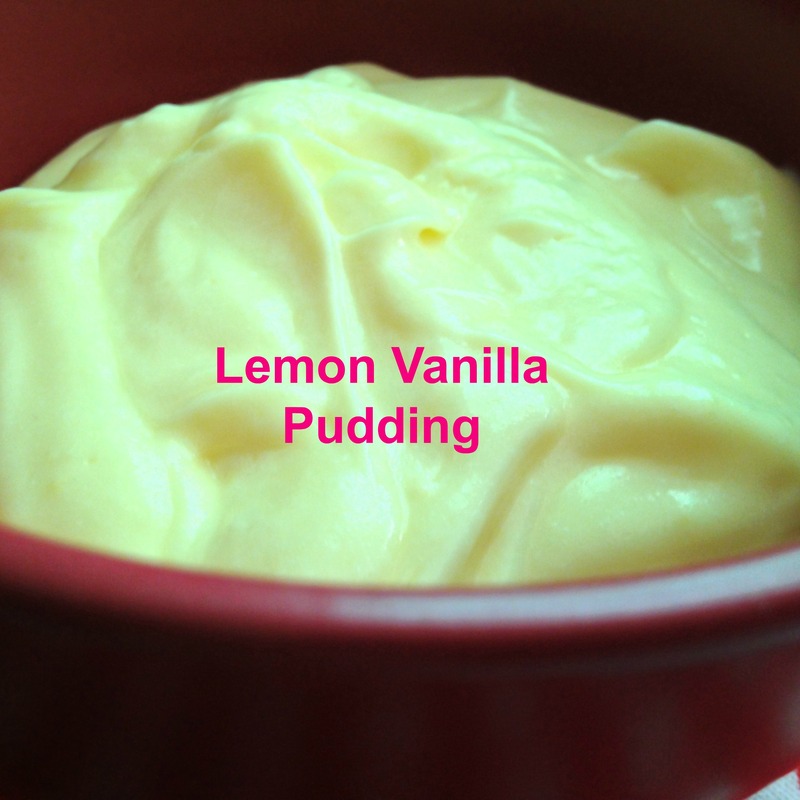 My foodie blogging friend over at Patty Cakes Pantry tried it and liked it (she makes the BEST lemon-berry banana bread incidentally). When three or more agree it’s good, I say it passes the test. Use strawberry peeler of knife to take the green tops off. Make pudding according to directions. Add half of the Cool Whip into the pudding and stir. Place strawberries in a glass or clear plastic serving bowl. Add pudding on top of strawberries. It’s the perfect light dessert. Try it out, and let me know if you come up with any variations. The recipe calls for only one pint strawberries. I started with at least twice that much but had a lot left over and extra pudding (without the strawberries) as well. What I did was divide the extra strawberries, put half in the frig for snacks and the other half in the freezer for smoothies. I like to make smoothies with frozen strawberry and banana slices. Got a delicious strawberry dessert, light or nutritious, you’ve tried? I’d like to hear about your strawberry recipe creations. 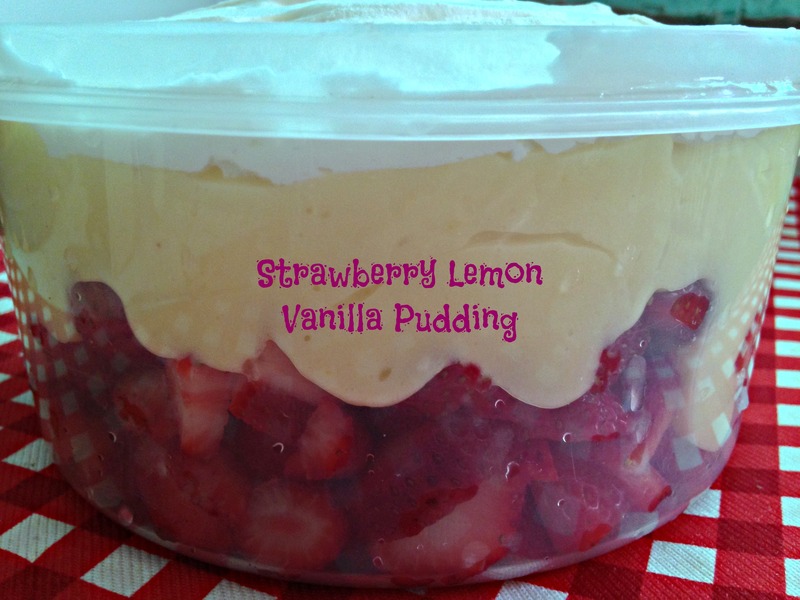 Your awesome Strawberries In A Pudding will be featured on my Whats For Dinner Next Week, The Menu for 5-3-15, on Friday, I can’t wait to try this recipe it looks so good. Thanks so much for sharing with Full Plate Thursday and sure hope you will come back soon!